When the company I work for announced a conference in a mystery European destination, we all started thinking of somewhere that could be warm… One of the Greek islands? Maybe Cyprus? A few weeks later, we found out it was Barcelona. It was a bit odd, as we actually have an office in Barcelona, and a lot of us have been to Barcelona a few times, including myself. 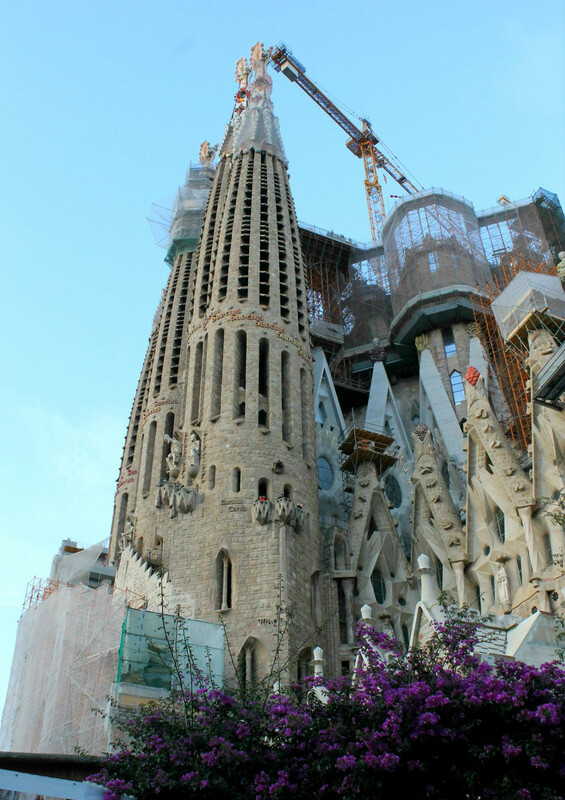 My experience with Barcelona so far in life was hopping off a cruise ship for a day and seeing the sights with my parents. This time it would be extending on for the weekend with my work friends. Very different. One of the first things I did was look up the weather. I knew Barcelona wasn’t going to be a winter sun getaway, but how cold actually was it there in December? December is usually the time for festive city breaks with Christmas markets like Amsterdam, Paris or Prague, or winter sun like the Caribbean or at least Morocco. I don’t know about you, but Barcelona seemed a bit of an inbetween-y destination. So I was interested to find out… does it work as a winter weekend getaway? My short answer is yes. Barcelona is in the Mediterranean, which is pretty blessed with weather. The whole time I was there, the Catalonian city had blue skies with only wisps of cloud and the temperature was mild enough to feel happy in a leather jacket during the day. The evening called for a warmer coat, but a few more layers under a jacket would have also done the trick. There were still a decent number of people walking around, but nowhere close to the summer (which is when I’ve been previously) when the long, main street of La Rambla resembles something like a colony of ants weaving their way haphazardly along a path. 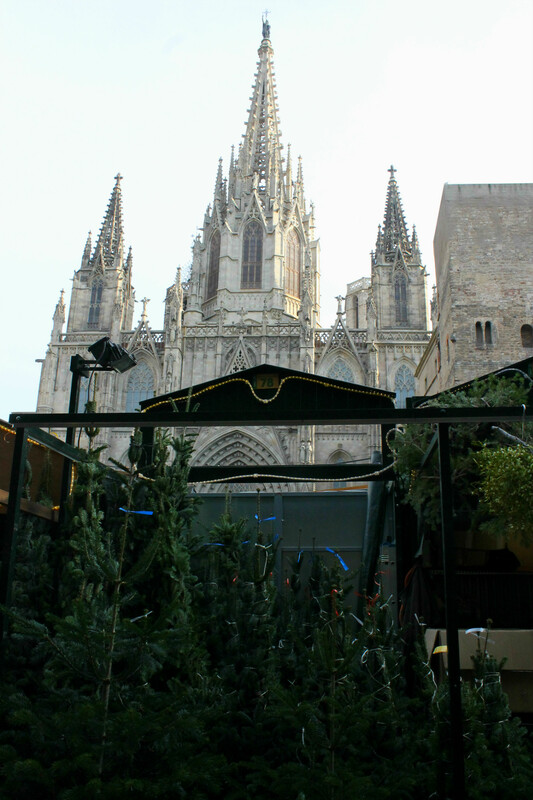 However, if what you want around Christmas time is to feel as festive as possible, I wouldn’t recommend Barcelona. I found it really interesting to see how they did the “Christmas spirit” – I mean, it’s already weird that there are palm trees everywhere, so how do they do it… do they compete with their European counterparts or embrace their Mediterranean nature? I definitely think it’s the latter. There aren’t as many Christmas lights, and definitely not on the same scale as London (I’m starting to think London is one of the most impressively lit I’ve ever seen at this time of year) and not as many Christmas markets. The Christmas markets themselves I’ll go into within another post, but they were sweet and I did still feel a festive vibe, even if it’s not the one I’m used to. It ranged from 11-17 degrees Celcius when I was in Barcelona over 5 days and the weather was always lovely with plenty to see and keep you occupied. 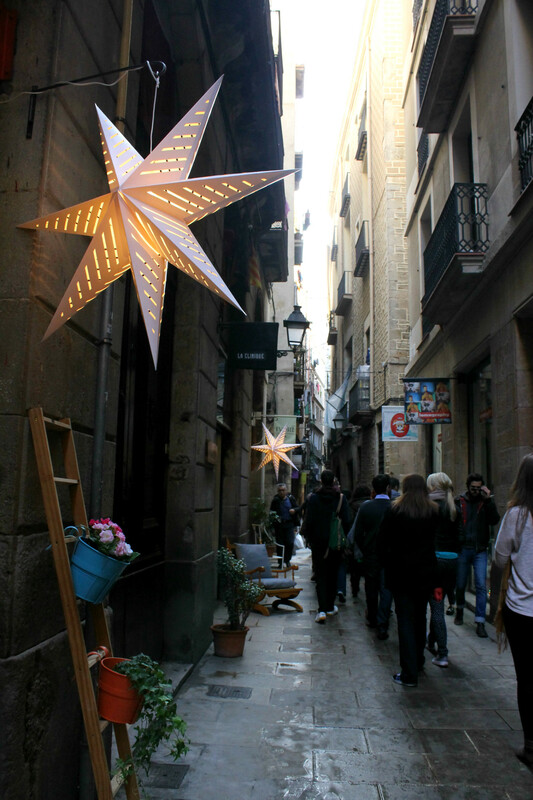 I felt I could do a lot more and stay outside longer in Barcelona than I could in Paris two years ago in December (which was still beautiful but freezing!). 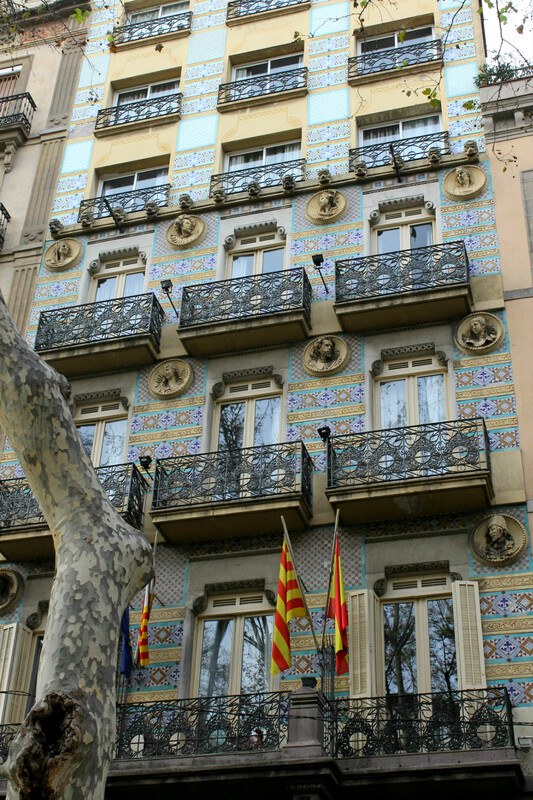 If you want a mid-winter pick-me-up, Barcelona’s a great choice with its palm trees, mild temperatures, pastel-coloured and architecturally intriguing buildings.